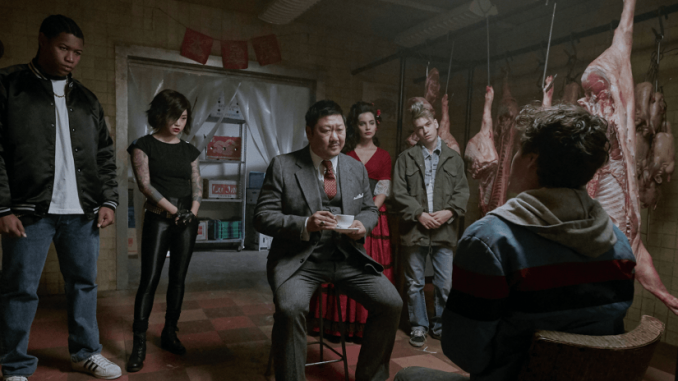 As you’ll see tomorrow when I review Showtime’s Black Monday, we are apparently entering a new phase of 80s nostalgia. 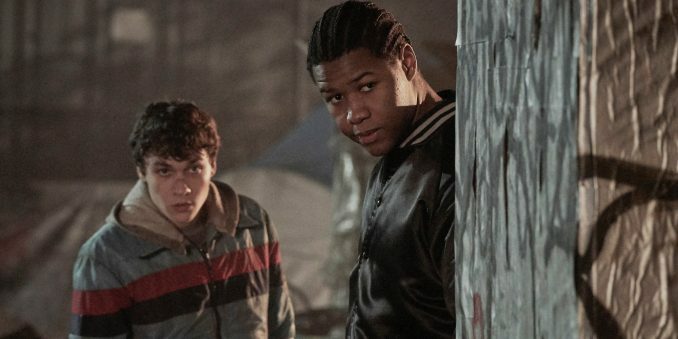 We’ve already numerous 80s TV shows lapping up the nostalgia value of video games, sport, fashion, hairstyles, high schools, music, film, politics et al of the era (eg Dark, Stranger Things, Halt and Catch Fire, GLOW, The Americans, Deutschland 83). But while The Americans and Dark weren’t exactly a bundle of laughs, they were pretty pro the 80s or at least neutral. Which is odd, because the 80s didn’t exactly feel brilliant when we were living through them. There’s a big wonderful decade out there for you to explore. The 80s was more than neon lights, a synth soundtrack, and basement D&D. “Just Say Yes” to the unsanitized 80s. But does it really know how? Or even what the 80s was really like? It stars Benjamin Wadsworth as a homeless street criminal who really hates Reagan, mainly because the Gipper has shut down plenty of hospitals for the mentally ill, resulting in all manner of schizophrenics and the like killing themselves or dying. I’m not sure why he’s hanging his hate hat on that particular hook so vehemently, but he is. 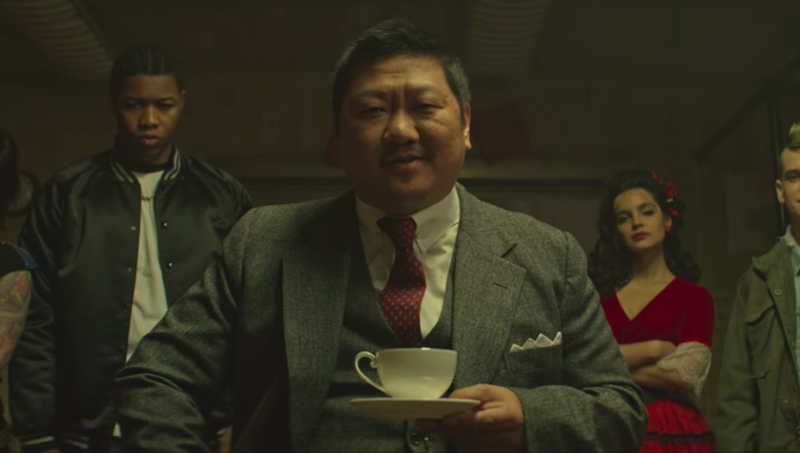 Then into his life come the pupils of King’s Dominion, a High School for kids run by Benedict Wong (Marco Polo, The Martian, Doctor Strange). King’s Dominion has one central feature of its teaching curriculum: it teaches poor kids to kill. Why? Because Wong’s peasant-descended family has tried to ensure the poor should never be in a position where the rich can run a tyranny over them. Soon, Wadsworth is having to do a Clueless and 10 Things I Hate About You: he’s learning who the in crowd and the out crowd are, what cliques to join and avoid, so he can become a pupil at King’s Dominion. But he has one big motivation to do it – he wants to assassinate Ronald Reagan. Despite its claims, this is in no sense a real slice of the 80s. Probably the only people associated with it who even remember the 80s are the Russo Brothers, Wong and fellow cast member Henry Rollins (yes, that one). As a result, pretty much every scene feels like a $2 bill when it comes to getting the vibe right. 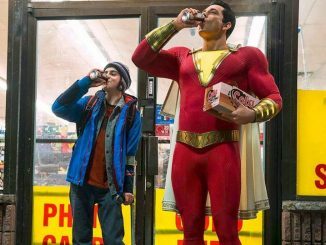 It’s like someone sat down, lit one up, watched Repo Man and Desperately Seeking Susan, listened to some Joy Division, then made a TV series from whatever came to mind. Upset with Reagan because of the <checks notes> conditions in mental hospitals </check notes>? Really? In something set in 1987, of all the things that you could have picked, that’s the one? Not his treatment of people with AIDS, Iran-Contra, supporting the South African government, starting wars, breaking the law, the corruption, the unemployment, the homelessness, collapse of family farming, collapse of financial institutions, or pretty much anything else? Feels more like a millennial hit upon Wikipedia’s ‘Happened on this Day’ feature, rather than something anyone who lived through the Reagan administration might have thought of. Despite the billing, it’s also not especially deadly. There’s reasonable verisimilitude and some decent judo and other martial arts, but it’s a school for training assassins in which no one’s allowed to kill anyone else under pain of… death. I mean frankly, in the US, you’d be better off learning all about guns and bombs if you truly want to be deadly and overthrow the government, yet everyone just gets to learn about poisons – to quote Deadpool 2, that’s not very cinematic. So, instead, all the action we get is the standard cool kids versus outsiders tedium of the average High School drama, just within a sub-group of the usual suspects. The characters are, for the most, pretty cookie-cutter. I quite liked Liam James’s punk rocker and Benedict Wong is awesome in everything, but everyone else is both dull and acts like they know what the Internet is and misses their phone. To be honest, I’m struggling for positives, here. It does have a brilliant 80s soundtrack, although again, that feels more like because someone just bought the Donnie Darko soundtrack off iTunes than because of an intimate acquaintanceship with the music of the time. The direction – not by the Russo Brothers but by Lee Toland Krieger – is pretty cool, too. But that’s honestly about it. 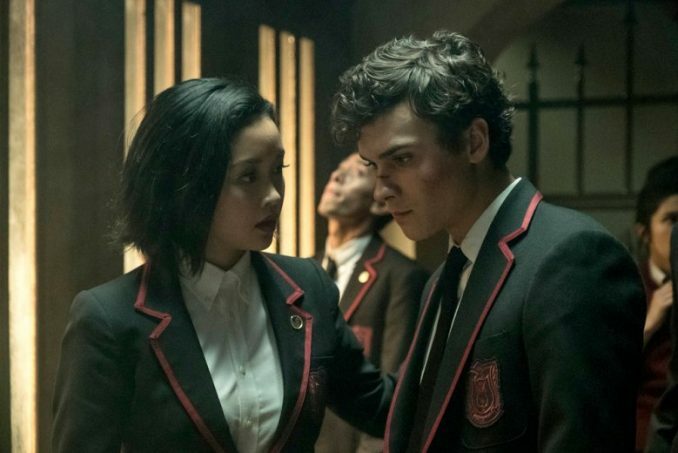 Then again, I hated Syfy’s previous ‘odd academia’ series The Magicians at first and that grew so much better over the time, so maybe Deadly Class will, too. Then again, The Magicians actually had magic from the get-go, whereas this has almost no murders or even fights whatsoever. What I watched on television last week.